Mookie was found wandering the streets of Las Vegas in the extreme heat. He went to a city shelter, and we’re very happy to say now has a wonderful new home. Samsi, at 10 3/4 yrs, was abandoned by the family that had him since he was a puppy. He is as sweet as can be. 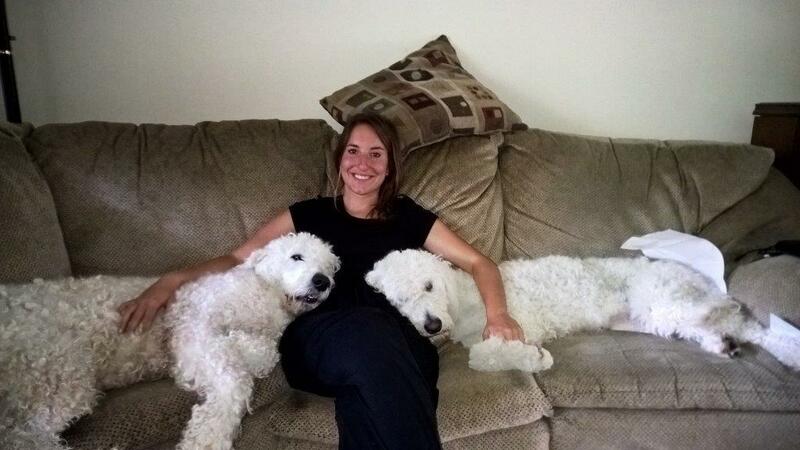 Fortunately, a wonderful Komondor family opened up their hearts and home to Samsi, and he is now residing happily with them. Oz found himself in a shelter in Texas. He was pulled by Panhandle Paws of Hope and fostered until a home was found. He now lives in Maryland. Below are before and after photos. Irie loves her new family and playing in the woods. 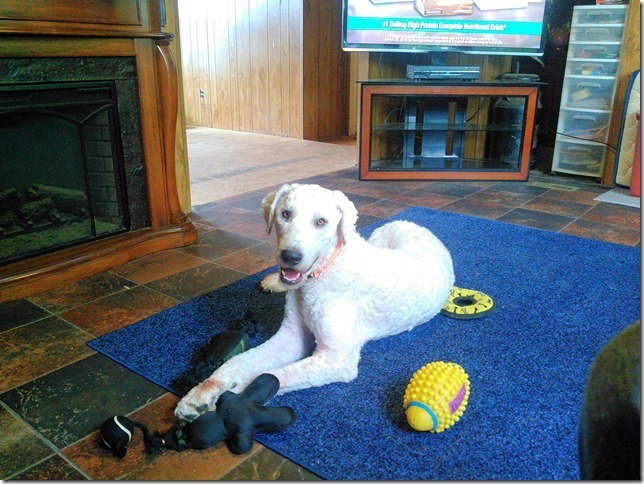 Rescue girl Rosa from TN is happy and doing well in her new home. cars. A good Samaritan used mints to lure a very frightened dog into her car. He is very happy to be with his new family and dog companion. Olivia is very happy with her new family of people and dogs. 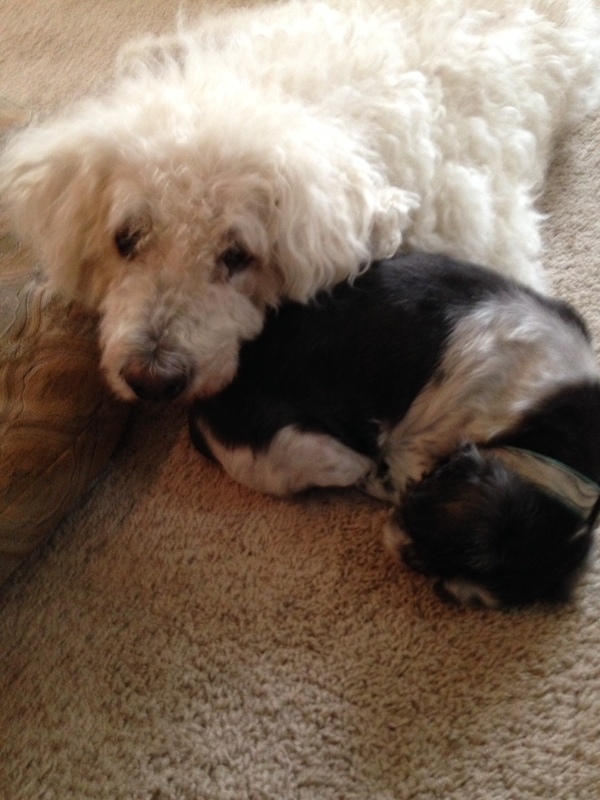 Robbie (13) came through rescue several years ago and in his new home bonded with a rescue shih tzu, Aria. They sleep together and constantly keep tabs on each other. 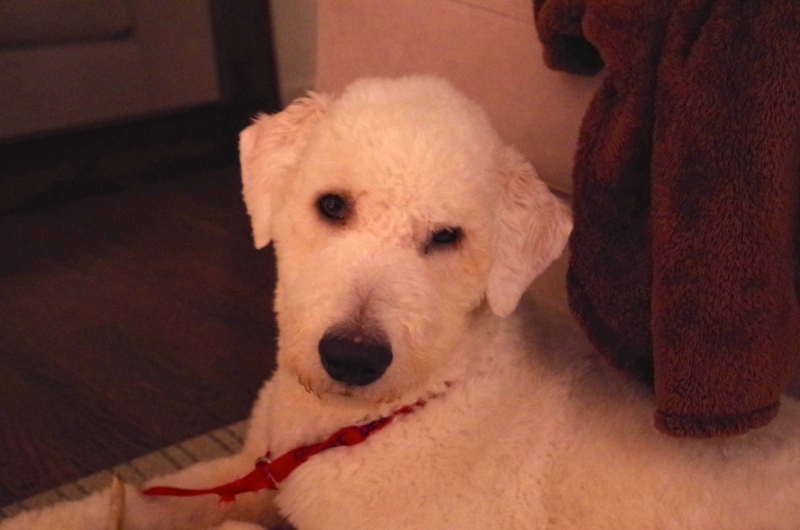 Denver is happily residing with his new family and on the first day he made himself right at home. Nine month old Hawser (formerly Kapone) was dumped in a kill shelter in Richmond, VA by his former owner. He never had training of any kind and was terrified of men at the shelter. 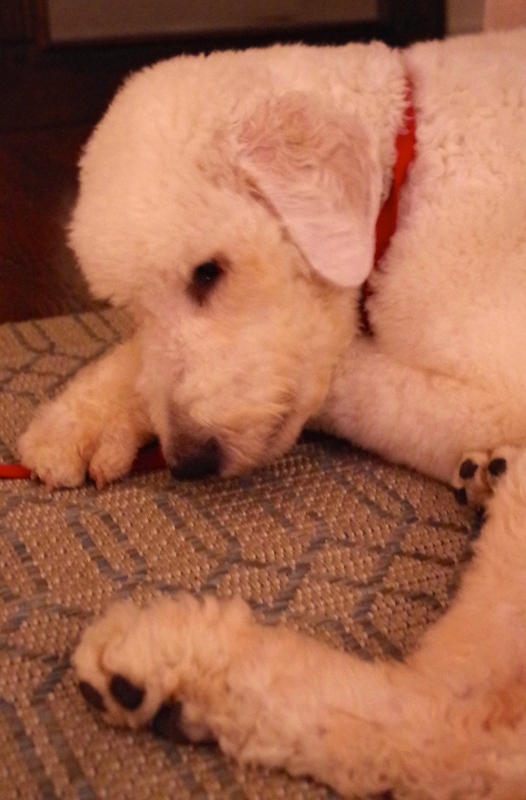 We want to extend our gratitude and thanks to: For the Love of Poodles Rescue. 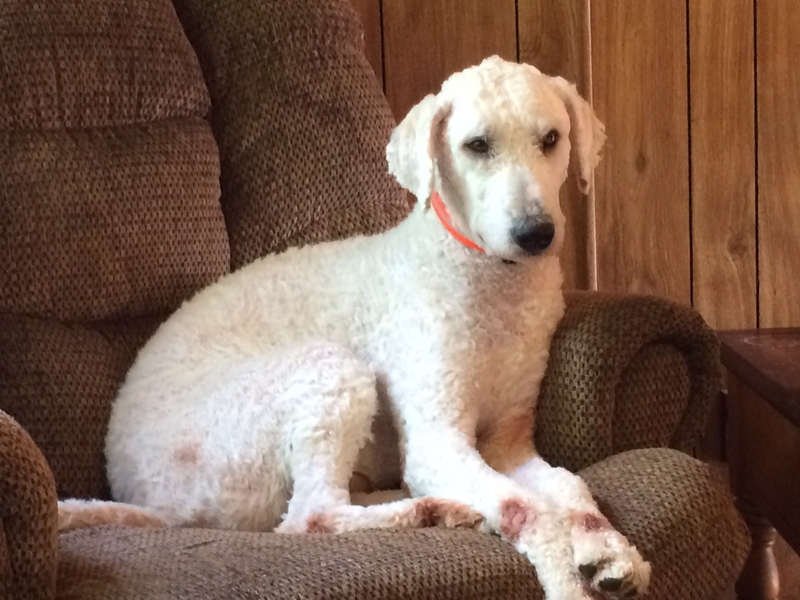 On the day he was scheduled to be put down, he was saved by a wonderful person from the group who knew he was a Komondor but didn’t have the heart to see such a beautiful and sweet young dog have his life abruptly ended. He now is in a forever home where he is dearly loved and happily receiving the training he needed. 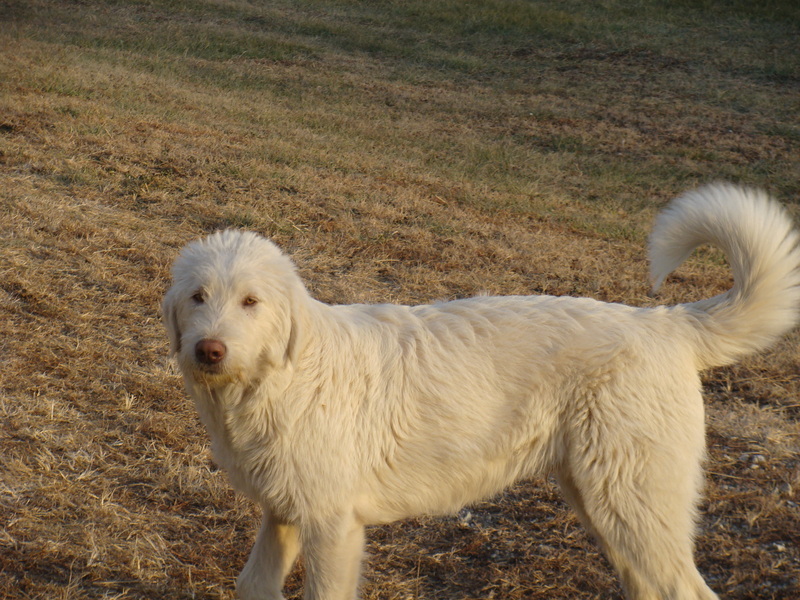 Ghost was imported from Hungary as a puppy by a family in NC that loved him very much. 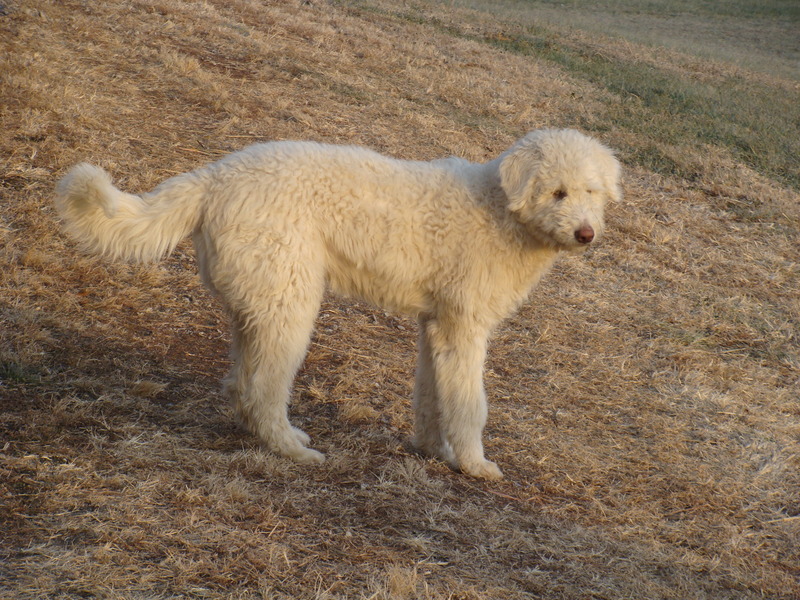 As with many Komondor males, Ghost grew in no time from a small sweet puppy to a 150 lb. out of control puppy. 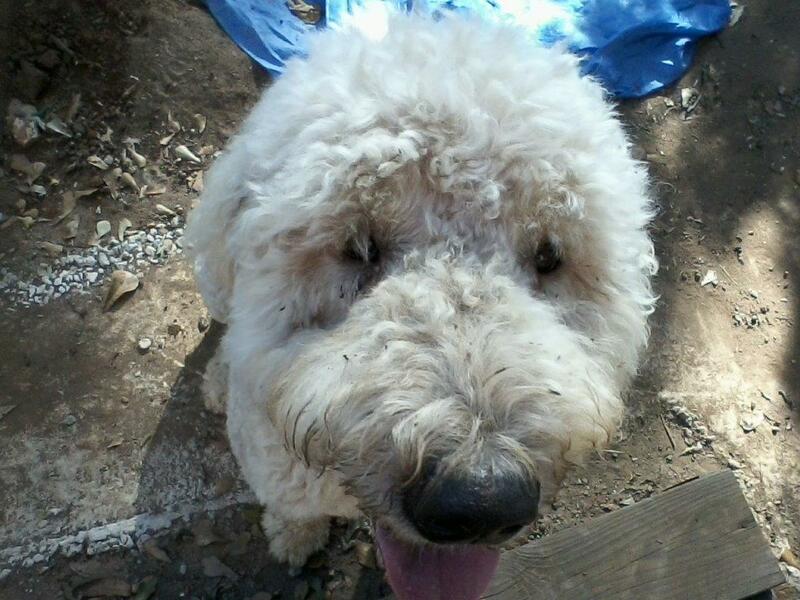 Ghost’s owner recently placed him on a farm with an alpaca breeder and Komondor owner. She was so afraid of him, she gave him back to the owner in just a few days. Pebbles in his new home. 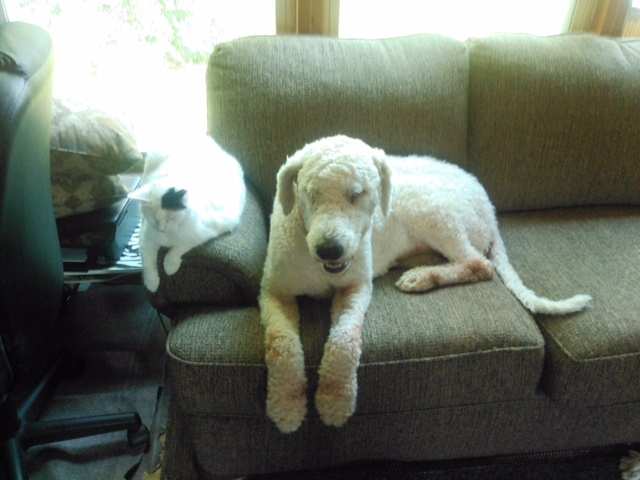 Curly and Linus (Komondor, Akbash, Anatolian mix) were transported by their new caregiver from Kansas to Kentucky (20+ hours round trip). They are settling in well at their new home, which is a 70 acre farm. They love their new family, as much as the livestock. Since predators have been a problem, their job is to guard the Boer goats and and later this year Dorper sheep will be added to their duties. Memorial Day weekend of 2010, Robbie finally found a family. He was 7 years old by then and had had several homes in the Western US. He was unwanted and was forced to live outside with little contact with people, something that distressed him greatly. 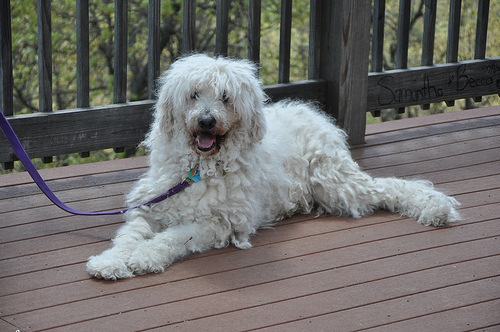 Thanks to Komondor Rescue volunteers, he was able to find a new home in Maryland. He trekked across the US with a young man who normally delivered items off of Ebay for UShip.com. He was confused by the crowded city and new family that welcomed him into their home. They had had rescue komondors before and each one was vastly different, but Robbie didn’t even seem to know how to be one. He didn’t bark for the first few months, had no idea he should sleep in spots that would create both a barrier to intruders and a tripping hazard, and didn’t boss anyone around. As a rescue dog with abandonment issues, he developed separation anxiety as he began to love his new family. 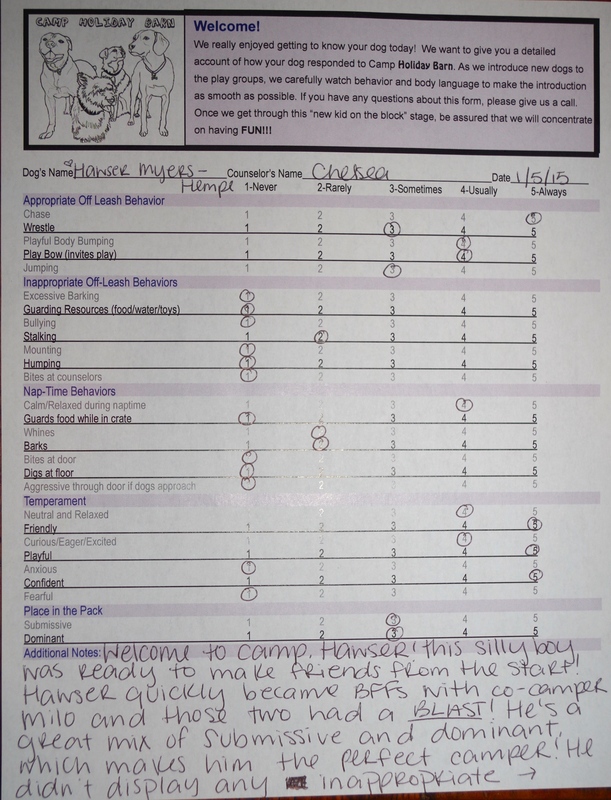 His new home worked with him, using both behavior modification and medications. Every time he went for a car ride he threw up, sure he was being taken away, not to return. His new family worked on this by taking him for short vacations, which provided reassurance, (and getting a waterproof backset cover). Over time, he found his bark, learned to guard his house, how to steal treats, and made new friends. He became the dog he was supposed to be. In May of 2011, almost a year after he was adopted, he got to visit Berkeley Springs. He was completely content, as the photo below shows. Rescue dogs do often need extra TLC, but they are all that more appreciative for it. I am very interested in owning a Komondor. I would appreciate being contacted if any come available.. 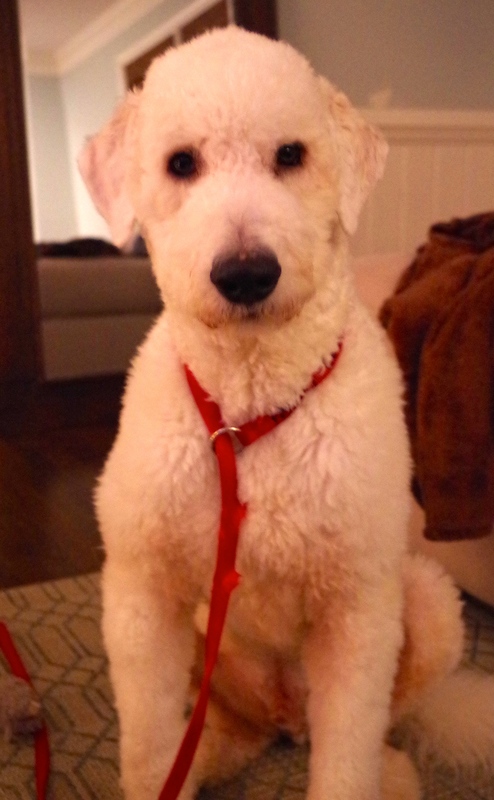 I have a 6.5 month old male Komondor if you are still interested. I was called yesterday about a 4 yr old male that needs a home. Location may be an issue, but not impossible. He was a companion to his owner, an American paraplegic man who just passed away. The dog (Boton) is lost, hurting, and tied now to a tree! He was a wonderful companion and assistant to the man. I cannot imagine what our life would be like had we not rescued our Kom, Bela. Once he realized we would not leave him and we went through Canine good citizen program together, he’s blossomed into the single most wonderful dog ever. He found his bark and guards the house on 12 acres, not to mention the chickens LOVE him. 😉 He still has night terrors and paralyzing fear of loud noises, but we put him in bed and snuggle him, which seems to work even better than a thunder shirt. We didn’t rescue him through you all, but I wanted to express my gratitude for rescues that place these wonderful dogs with the right families. Thank you. 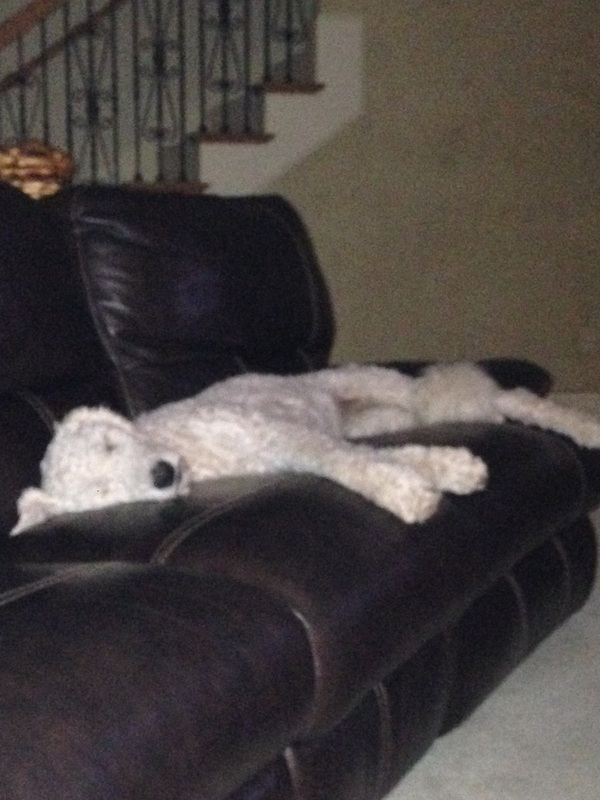 I love my Komondor. He is the Best Dog Ever and very well behaved. But I had to work at gaining his trust over time, love and affection and no quick moves. I think that is so key. If you have a Komondor with problems, hang in there.